The DexStent implantable stent systems are manufactured by highly specialized companies in France and Germany. These products are made exclusively for use in small animals but conform to the rigorous standards found in human medicine. Dextronix’s manufacturing partners have the necessary expertise and production experience required to provide premium quality and long term reliability. The products have a limited warranty and will be sold to qualified veterinary professionals only. 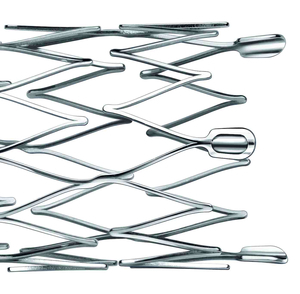 Our current stent portfolio focuses on Nitinol based tracheal and urethral stents and ureteral stents made of Polyurethane. In addition, we offer direct-punction set and two-step drainage catheters and especially small stone retrieval baskets.